The e-mailshot system is straightforward. 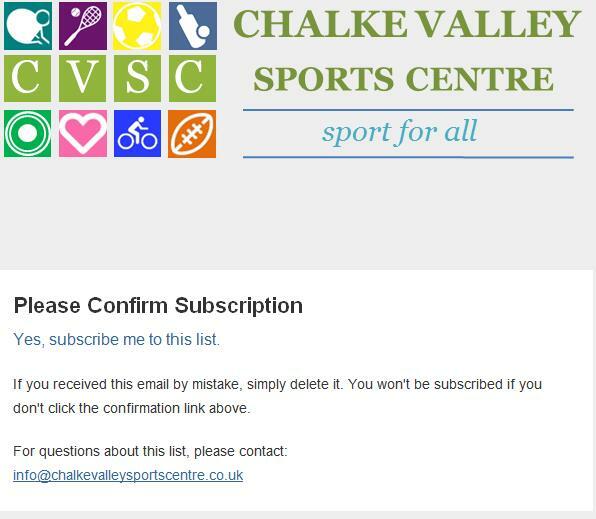 After clicking “Subscribe to List” a confirmation email is sent to the email address entered. 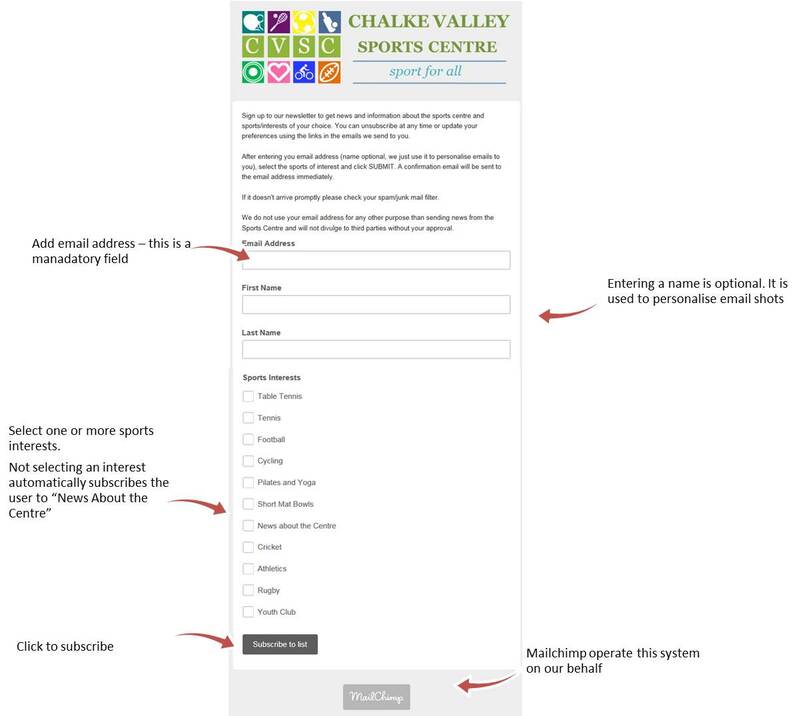 To complete the signup the recipient must then click “Yes Subscribe me to this list” to complete the process.